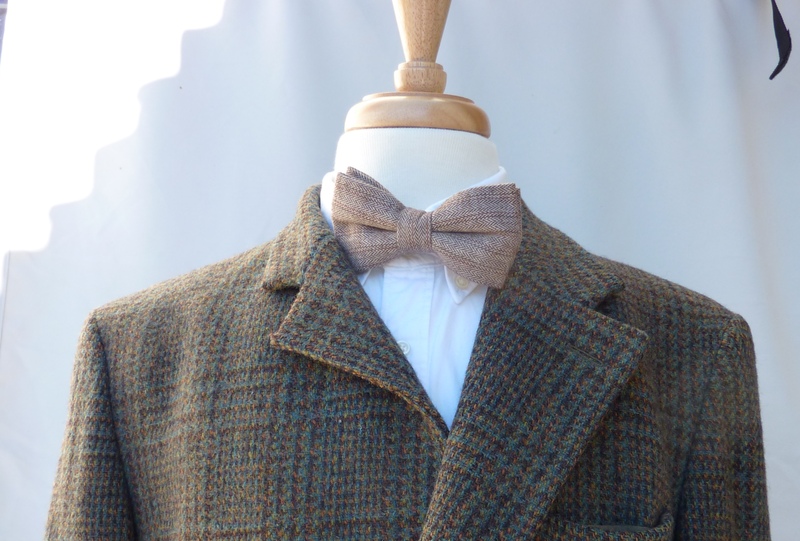 Tweed jacket upcycle project: Day one - shoulder pads - Well Dressed Dad - It is a proper menswear blog. Like, with original words and opinions and suchlike. 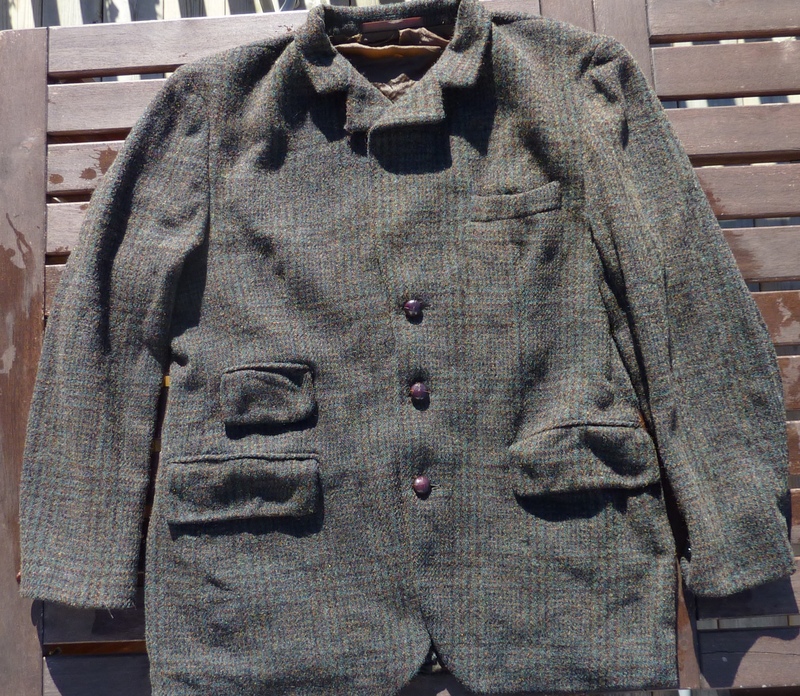 Last week I posted the question: What can I do with an old vintage Harris Tweed jacket.After a surprising amount of input on which of the three projects I should select to put an old Harris Tweed jacket though, I have decided that the first project will be to go slouchy on this one. Or try to “unconstruct” it, in more sartorial terms. That means that in this round the waistcoat-conversion and the “Mallory-style” have been relegated to the “might come next” list. 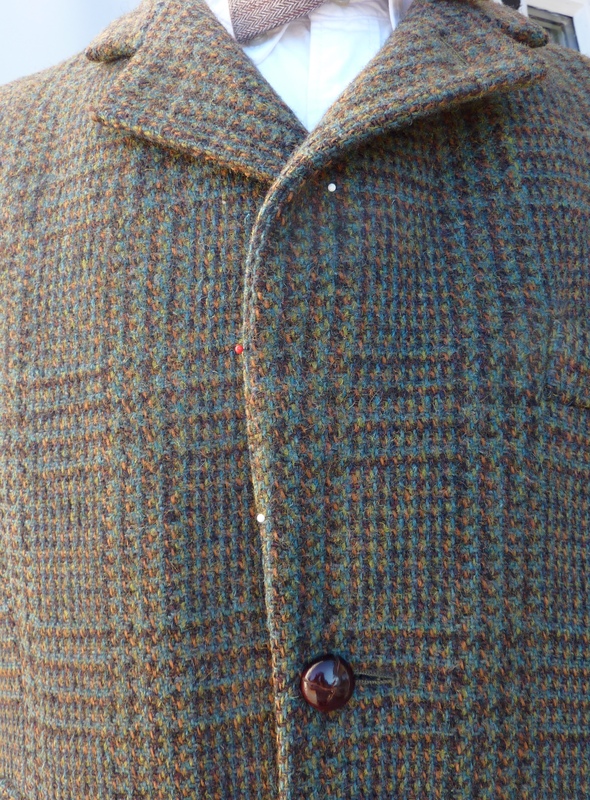 An inspiration for the project, the Harris Tweed Bakers jacket by Universal Works. 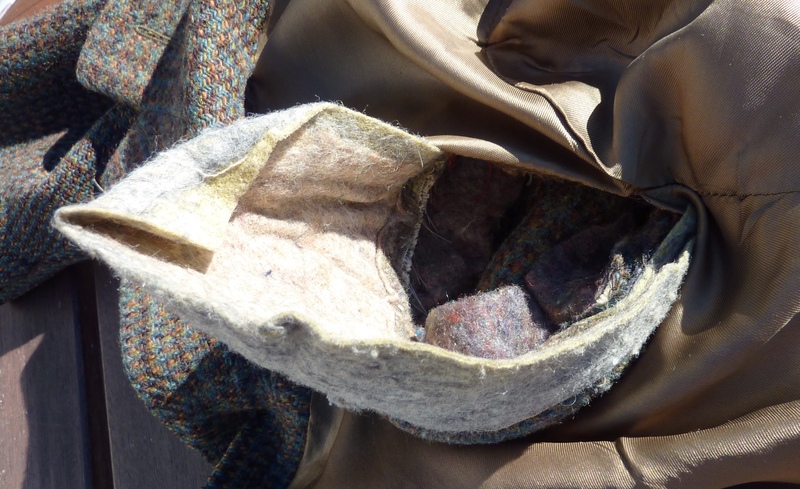 For starters, the inspiration and reference for this project is a Harris Tweed jacket I bought a few years back from Universal work. This one is totally without structure, no lining and in almost all respects is totally different to the vintage jacket I’m basing the project on. So let’s suspend disbelief for a bit and see where it goes, ok? 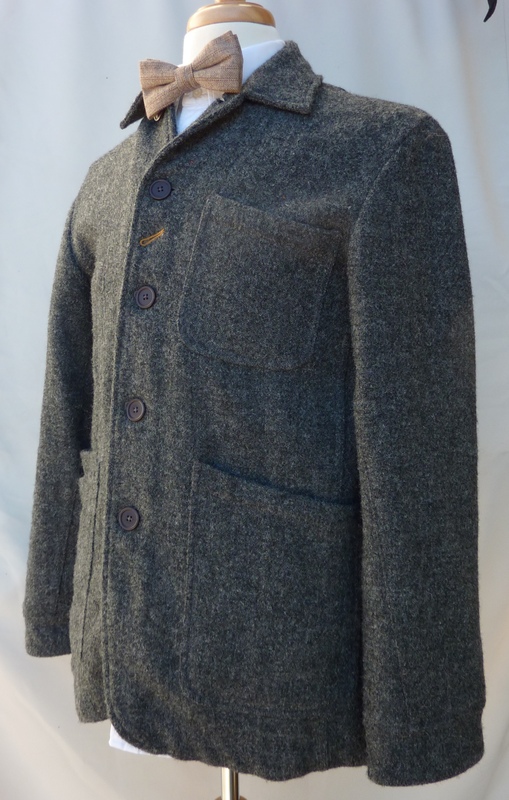 The starting point, a 1960’s Dunn & Co jacket. To me this means that first of all the silhouette has to go and that means removing the shoulder pads. The pockets are also very different, but that is a big job to do anything about. The UW jacket also has more buttons and no lining. 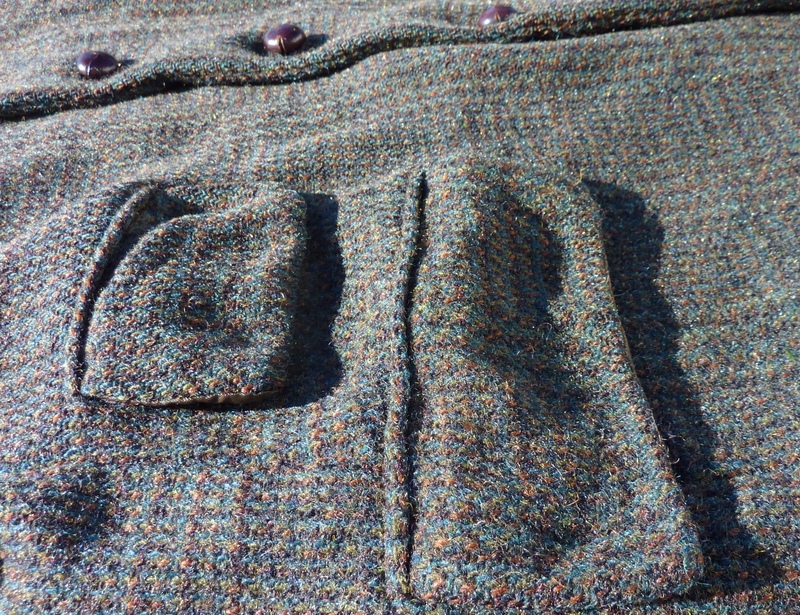 I would like to retain the lining, mainly because tweed is itchy, but also because there is history in a nice lining. The extra buttons I intend to add. I’ll be wanting to add at least one extra button here, but I also see that the shape of the lapels is wrong, so cutting will be required. The big question really comes down to whether I can reshape the lapels and so forth without actually having to do any sewing. My plan is to do this my washing and steaming, taking advantage of the shapeability of the thick wool fabric. Carefully undo the stitches without damaging the lining. First things first though: The easiest part is removing the shoulder pads, and believe me there are some nice thick prices of felt hiding in there. I started out by using a seam ripper to un the stitches in the lining on top of the shoulder. Be careful, as you’ll be hand stitching this closed again in a few minutes time and it makes life a lot easier if you’ve not shredded it to buggery. Keyhold surgery: Reach in and remove the large wad of felt. One that the seam is open you can peek inside and find the shoulder pad. Again, this is sewn in place, so the seam ripper will have the stitches cut without much ado. Another point of caution here as those stitches may be holding more pieces of fabric in place. Investigate, and have a needle and thread ready to quickly add some stitches to keep the bits that should be held together in place. Not difficult at all, and once done you can carefully stitch the lining together. One side has the pad removed, can you tell which? One the shoulder pad is removed, you should be able to see some difference in how the shoulder sits. 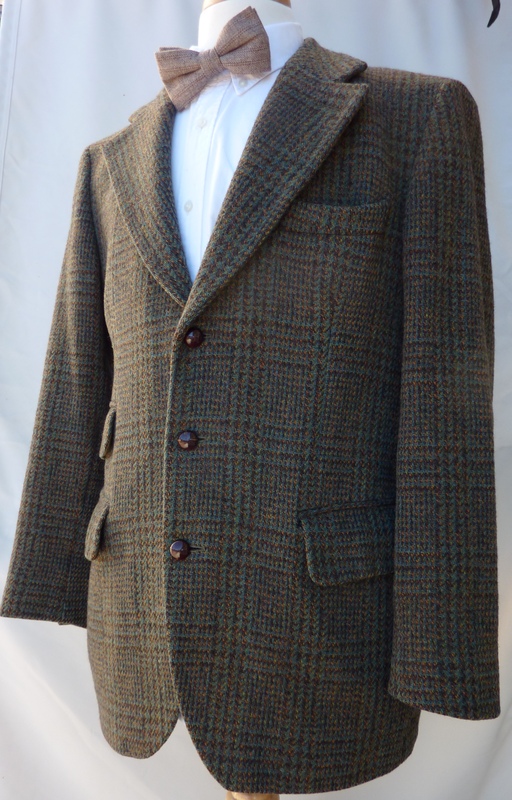 Possibly not as much as you’re hoping for, but this can be due to the natural stiffness of the tweed and the fact that it’s been sitting in that shape for donkeys years. We’ll see what we can do about that in the next step. 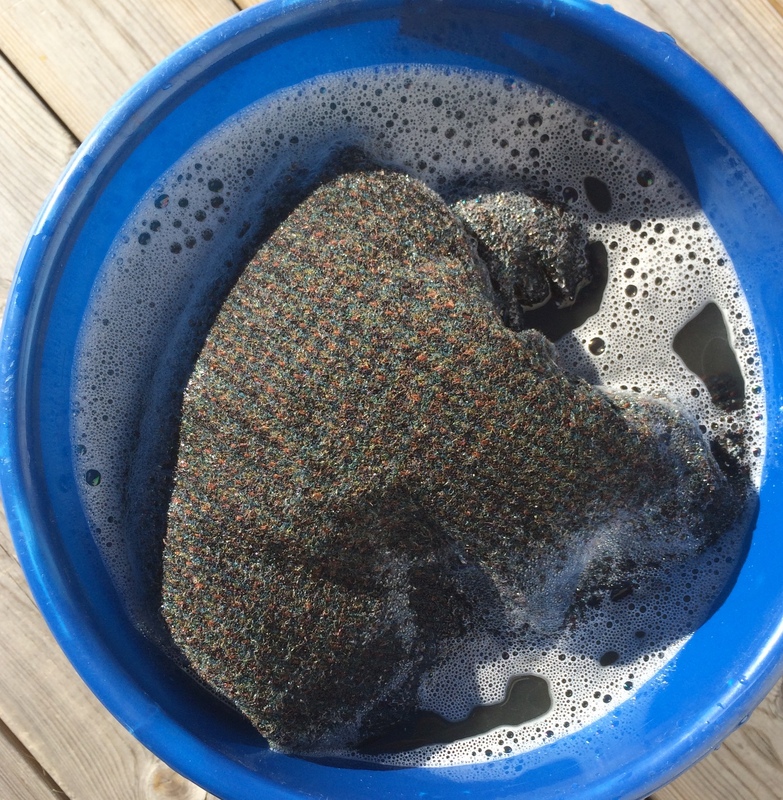 This step was something I’d not really planned on doing yet, but I kept noticing clouds of dust coming off the old jacket, so in the interest of health, safety and general pleasantness I decided to give the jacket a wash sooner rather than later. Using some regular Woolmark-approved Ecover wool wash I gave the jacket a good soapy workout in warmish water. To say I was stunned at the amount of dirt in the jacket is to underestimate things drastically. It was absolutely filthy. This also answers a question I’ve often pondered when browsing vintage gear: Do they wash the stuff before they sell it? Oxfam certainly doesn’t wash the old tweed jackets! Anyhow, after a good wash and serious rinse, the jacket is now drying outside. I’m making sure to let it lie a bit crumpled to remove structure. At this point I think things are looking very promising! 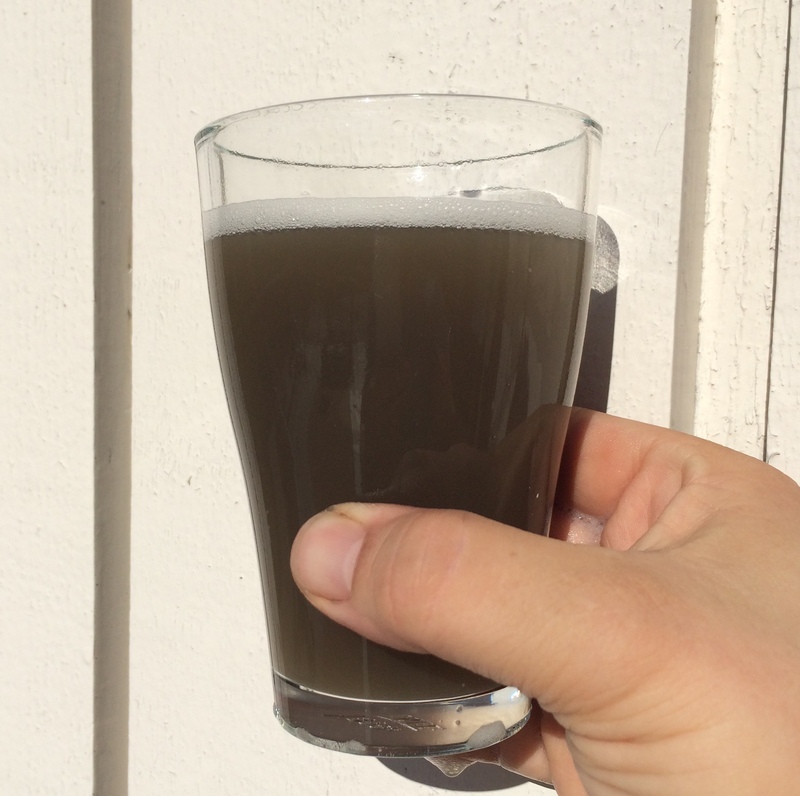 The colours of the tweed should be even nicer now that all that nature has been washed out of it as well. How much shrinkage do you expect. My father was an avid Dunn & Co shopper when I was a child and I remember my mother destroying many a garment of his. One wool V-neck even fitted me when I was 13……. Hopefully very little as I made sure to keep the water temperature moderate! What a cool project! Can’t wait to see the finished result!